Kiel Mead Forget Me Not Ring (AWFMN) at Pure Design / Accessories / Jewelry ::: Furniture for the Home, Office, Home Office, and More at Pure Design Online! 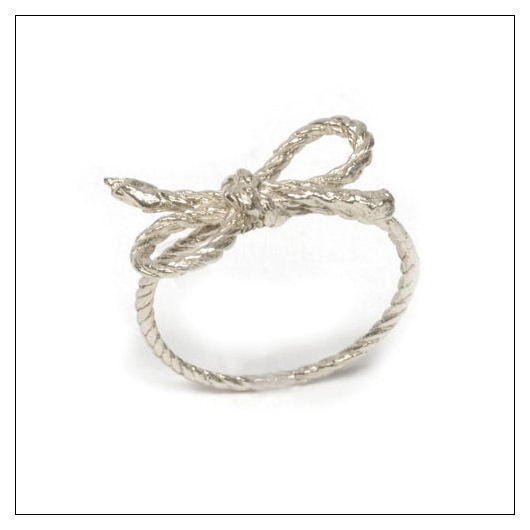 Delicately tied in a bow, these simple rings made from the mold of a real string serve as a permanent reminder of a particular occasion, memorable event or the individual that gave it to you. Sizes 5, 6, and 7 available.